The Andean Flamingo (Phoenicopterus andinus) is one of the three flamingos occurring in the high Andes of South America. It is the largest and easiest to identify in all age stages. It is also the rarest of the flamingos of living in the high Andean. In fact, the Andean Flamingo is regarded as the world’s rarest flamingo. The largest of the Andean flamingos is native to the wetlands and shallow alkaline lakes of the high Andes mountain range, from southern Perú to northwestern Argentina and northern Chile. In the summer, they live in salt lakes and migrate to the lower wetlands for the winter. The highly specialized foraging strategy of flamingos makes them vulnerable to the effect of subtle changes in habitat quality. The status of its preferred wetlands throughout the year dictates movements that often results in a nomadic lifestyle. This may include long distance movements in short periods of time. The initial decline in the Andean Flamingo’s population appears to have started as early as the mid 20th Century. Egg harvesting to sell as food was intensive then, with thousands taken annually from the breeding colonies in Chile. These breeding colonies included other species of flamingos, but it was only the Andean Flamingo that appeared to have been the most affected, if indeed the egg extraction was one of the causes that led to the Andean Flamingo’s population decline. Egg collection for local consumption still continues at lower scale. 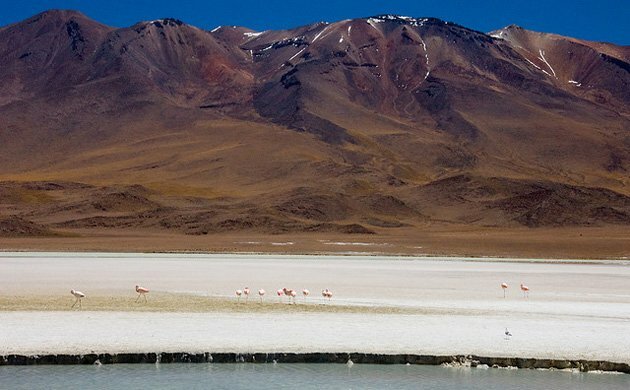 Mining activities pose a current threat to the Andean Flamingo. Mining companies have established themselves adjacent to the flamingos’ nesting sites and feeding sites. Flamingos have been reported to abandon their nesting sites even when mining was initiated after the establishment of nesting colonies when the birds were expected to be engaged in a breeding attempt and were less likely to leave the colonies. Alongside mining activities, unregulated tourism has placed and additional toll on the flamingoes’ habitat. As a result of the growing interest in ecotourism, new infrastructure, such as highways, are being implemented into the Andes. There are now highways that run alongside the flamingoes’ habitat. With the addition of these roads, accessibility to the flamingoes’ habitat increases, leading to more commercial mining and tourism. This in turn results in new infrastructure that results in severe fragmentation of some lakes. Despite the long history of impacts and steady population decline, the Andean Flamingo has been declared endangered as recent as September 2010. The Andean Flamingo is now protected under the Endangered Species Act of 1973. 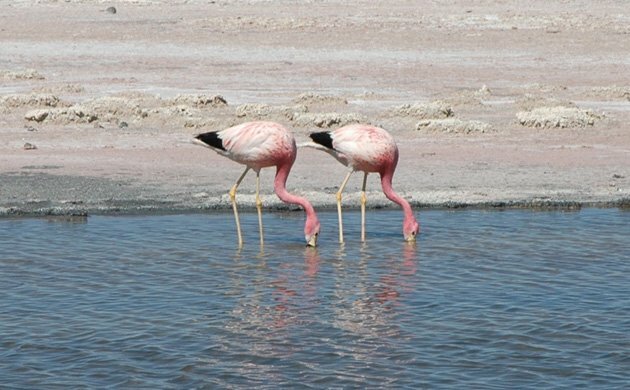 Because the Andean Flamingo’s recent addition to the endangered species list, there have been few implemented plans to protect it. The more immediate protection measures include finding ways to solve the problems of mining activities, egg collecting, poaching, and uncontrolled ecotourism. 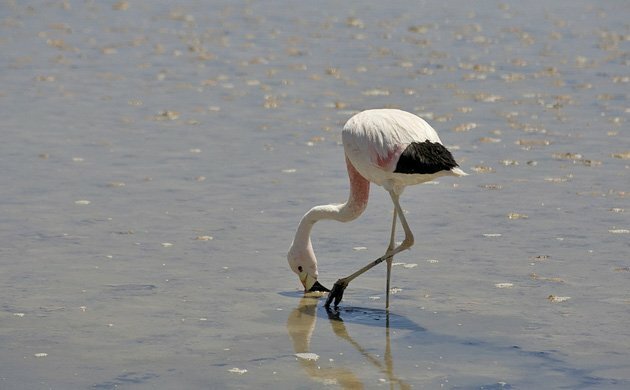 Conservation organizations such as the Flamingo Specialist Group is actively trying to inform the public on the vulnerability of flamingos. They produce an annual newsletter to tell readers the current status of several species. 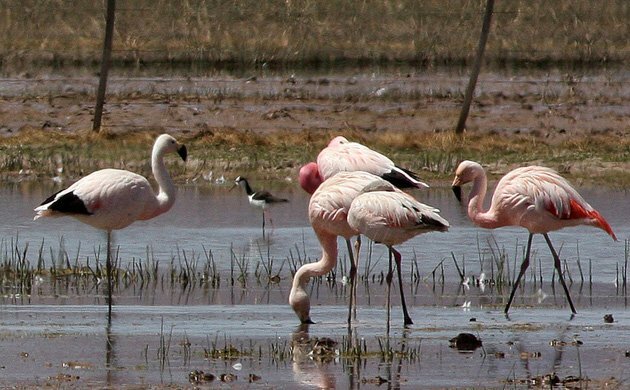 Recently, this group has joined sides with the International Union for Conservation of Nature (IUCN) in order to create an action plan for the flamingos. 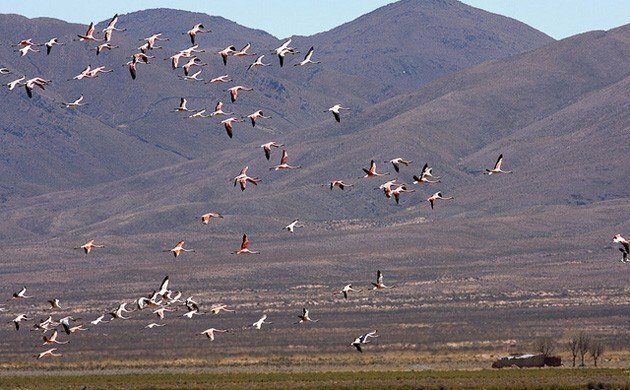 The populations of all species of Andean flamingos is monitored though simultaneous multi-national census. Also local outreach programs are being implemented in the most sensitive regions used by flamingos during an annual life cycles. Why is “For the Birds” a Bad Thing?